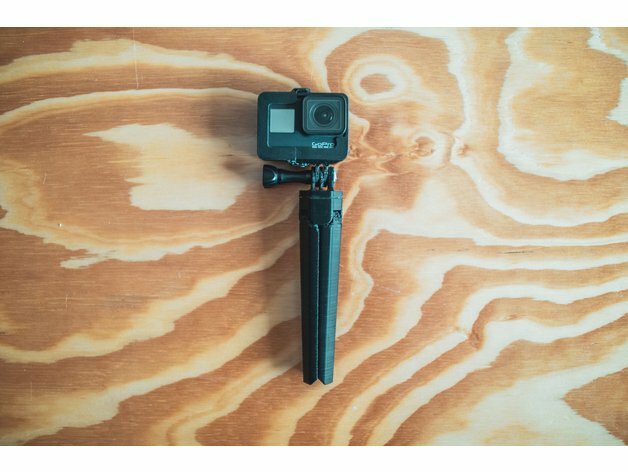 I created the upper GoPro fork mount to match the contour of David’s tripod, and simply glue onto it (I used Bosch high strength hot glue). 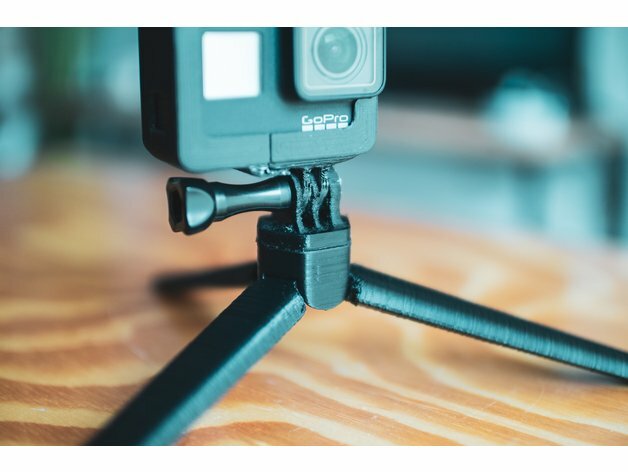 This tripod is simple and sleek but with the downside of not being able to re-orient the camera in relation to the tripod legs. 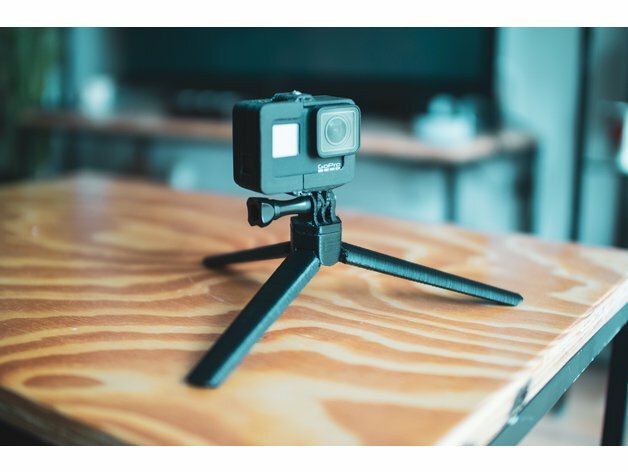 Of course you can unmount the GoPro, rotate 180 degrees and re-mount, which gives you a little bit more flexibility back. Pictured with my split design helmet case, but totally compatible with the stock GoPro cage. Since this is a print-in place mechanism, I would suggest doing a test print of the tripod legs (the top 1/5th section) to see if your print tolerances allow the legs to be broken free after the print without snapping the legs. It took me 2 partial height test prints to dial the settings in, and on the 3rd the print was perfect. After they’re free, add some silicone oil to help the parts not wear out. I may modify the design in the future to add an o-ring groove to the outside of the legs to keep them shut when using it as a stick.